When I was 17 and attending my Jesuit high school in Detroit, I read Joyce’s A Portrait of the Artist as a Young Man. And then, at midlife, I read it again. Found Wanting tells the story of those two readings. Part literary memoir, part reappraisal of a literary classic, part skeptical look at the idea of art as a privileged pathway to personal transformation, Found Wanting is an extended reflection on the experience of reading, misreading, and rereading—both on the page and in life. 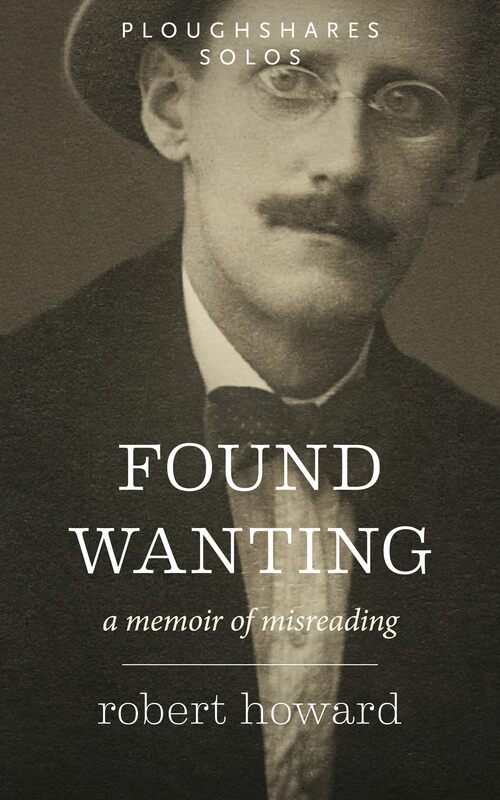 In September 2014, Found Wanting was published by the literary magazine Ploughshares in its Ploughshares Solo e-book series. It is available on Kindle at Amazon.com, as an audio-book at Audible.com, or in print in Volume 3 of the Ploughshares Solos Omnibus. You can explore more of my work in the domain of Literary Criticism and Creative Nonfiction.